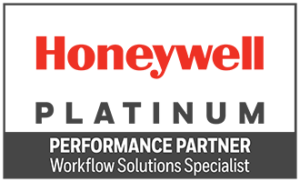 BEC (Systems Integration) Ltd, a leading supplier of data capture and voice solutions for the supply chain, logistics and manufacturing industries, has achieved Honeywell’s Vocollect™ Platinum Total Solution Provider (TSP) Status. “Darrel Williams, EMEA Sales Director at Honeywell, concludes “BEC continues to impress. Committed to delivering value and great service, the team continue to stay true to the principles that made a partnership between Honeywell and BEC such a natural fit. In the years since we started working together, BEC have continually provided our customers with outstanding operational excellence through their adoption and integration of Honeywell Vocollect voice solutions. The Vocollect product line, together with BEC’s logistics and systems expertise coupled with an unwavering commitment to delivering additional value, has resulted in delighted and successful customers and of course market growth.